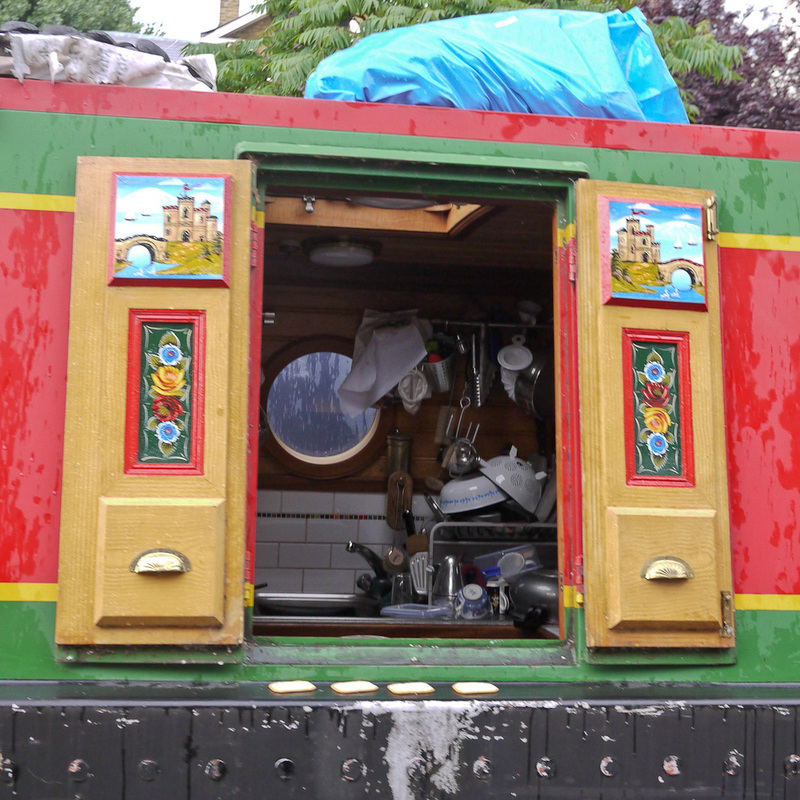 This post is way overdue. 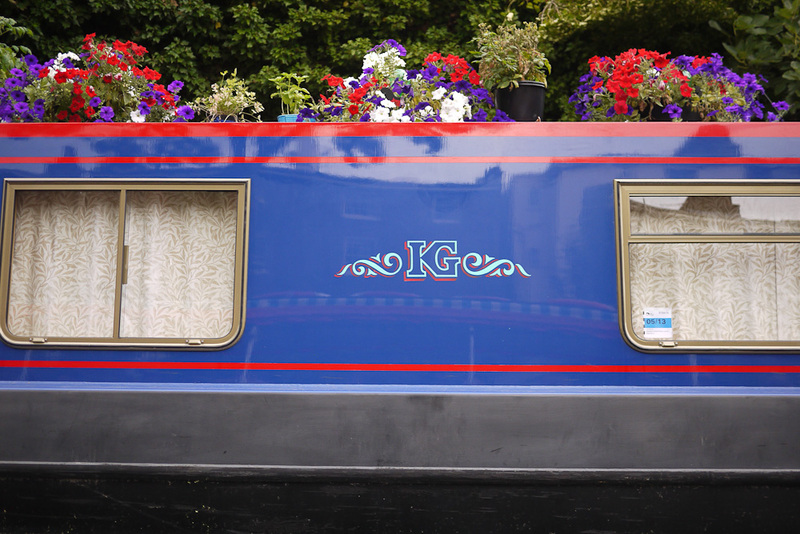 Last August, Karen, the kids, and I went to Great Britain. 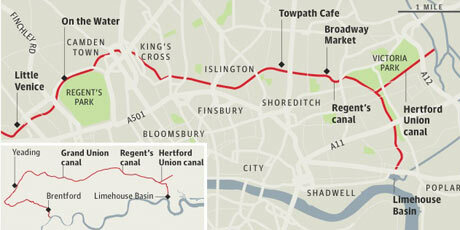 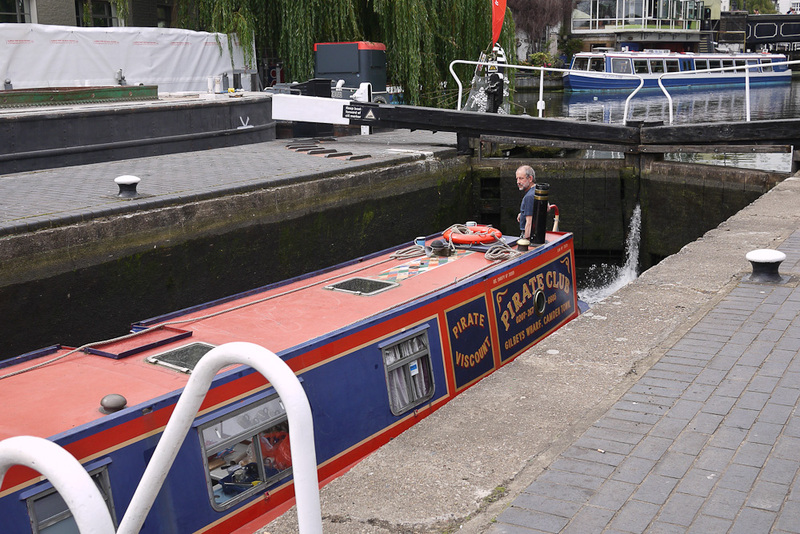 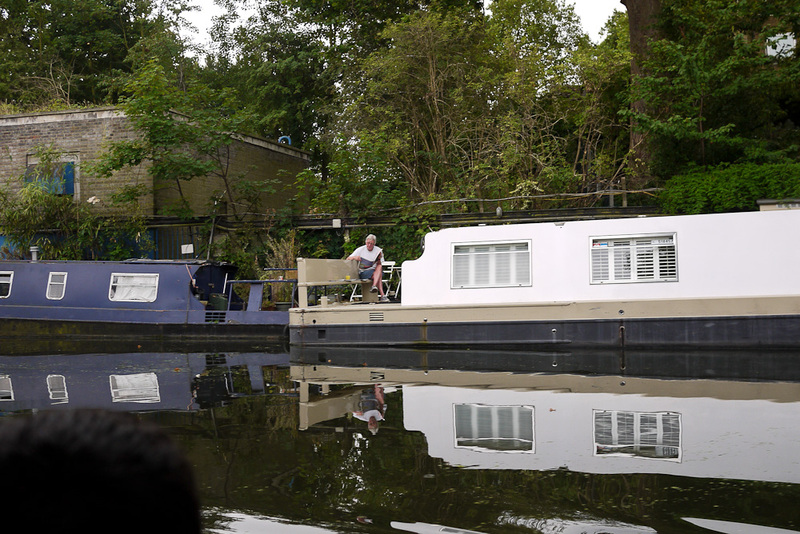 (Click here to read about our trip on the Regent’s Canal in London.) 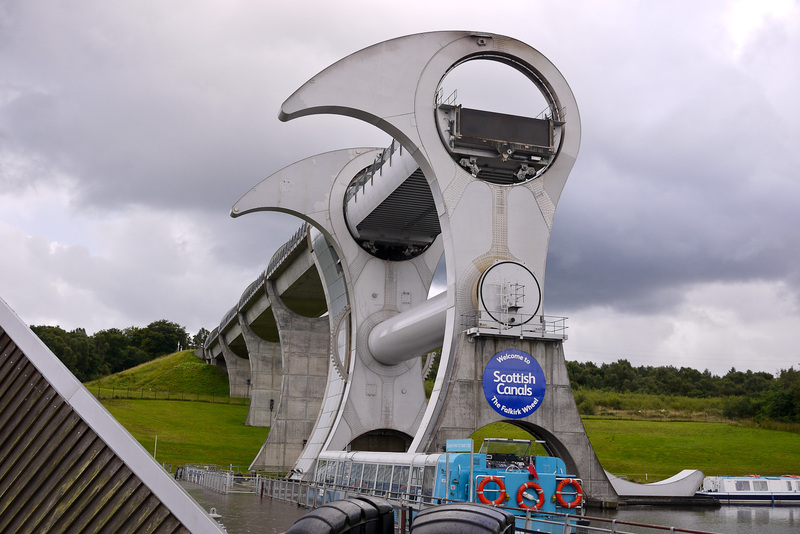 In Scotland we made sure to visit the Falkirk Wheel. 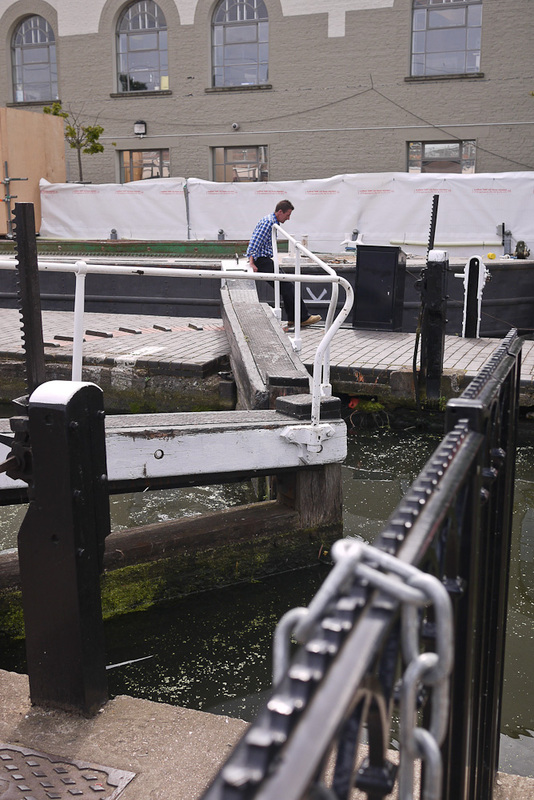 This unusual device is essentially a canal lock. 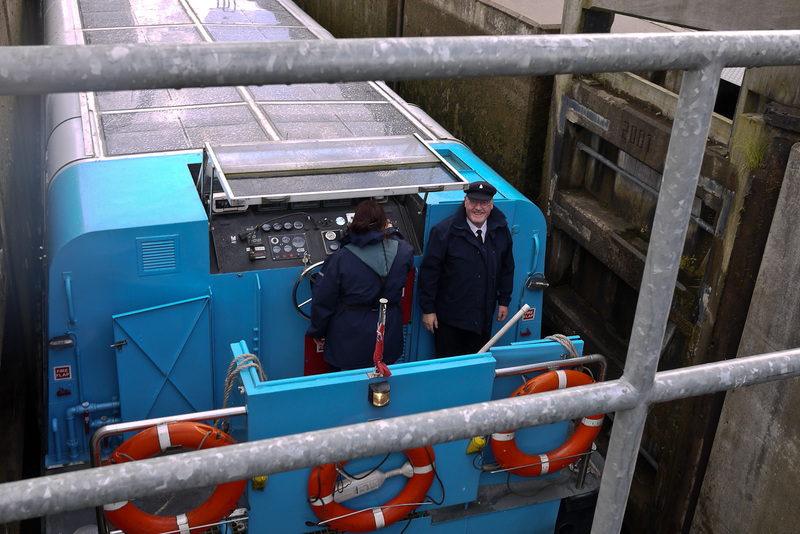 It’s used to move boats between the Forth and Clyde Canal and the Union Canal. 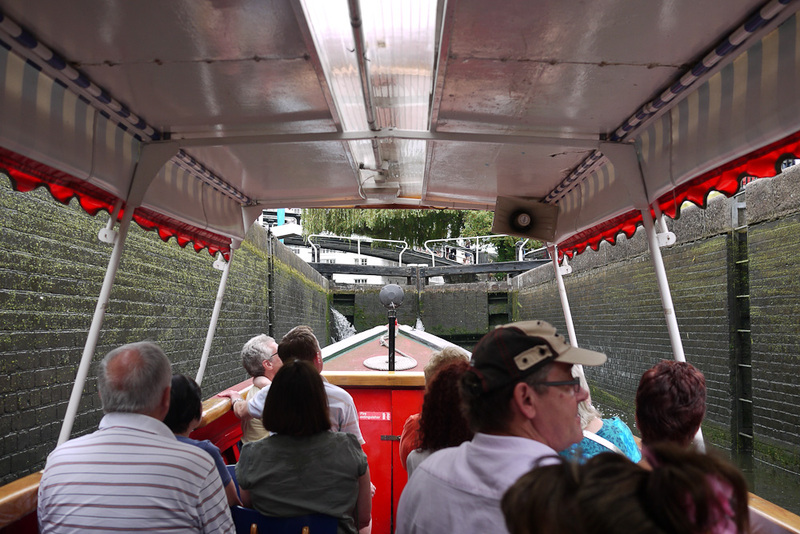 Boats enter at the top or bottom, and then the whole thing rotates 180 degrees. 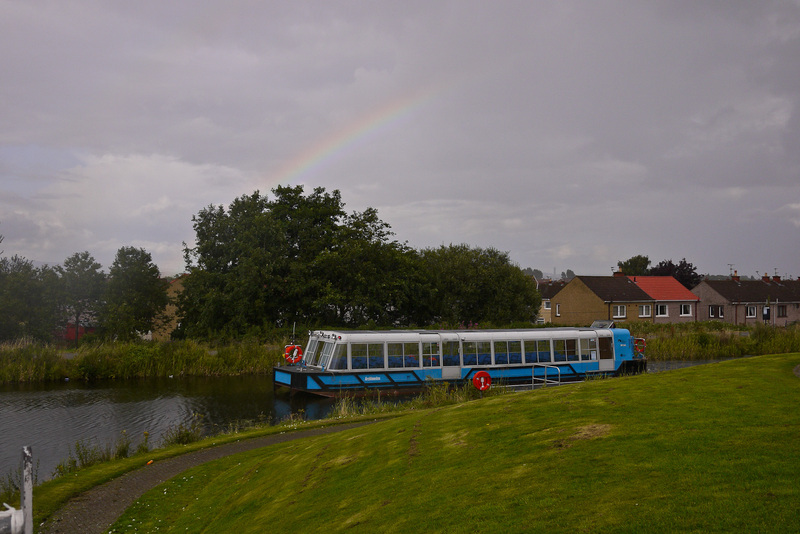 Construction on the Forth and Clyde Canal began in 1768. 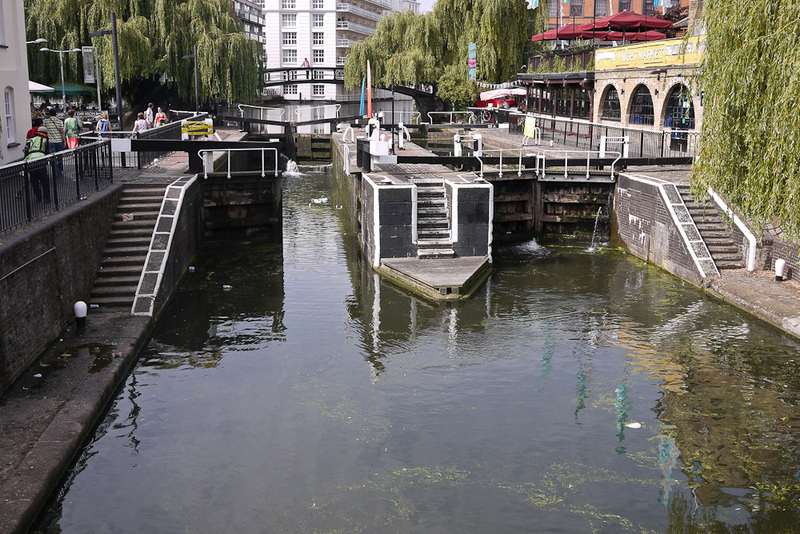 The canal was closed in 1963 and reopened in 2001. 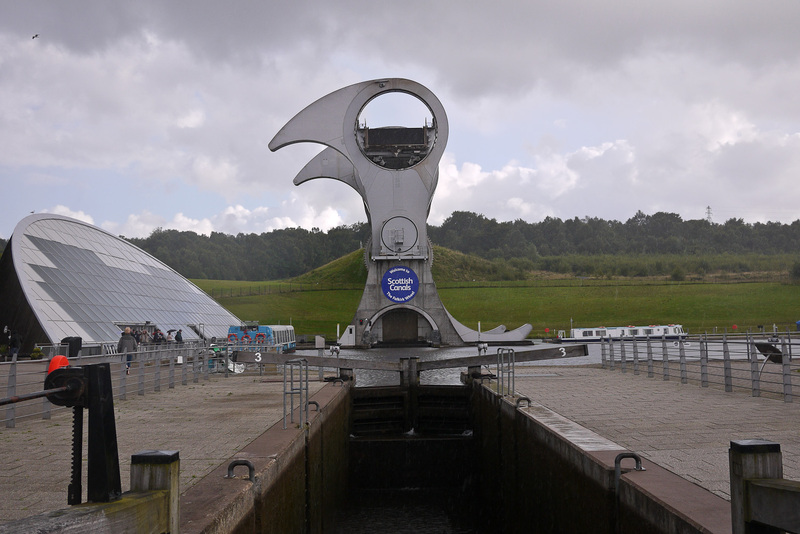 The Falkirk Wheel began operation in 2002 and replaced a series of eleven locks that used to connect the two canals. 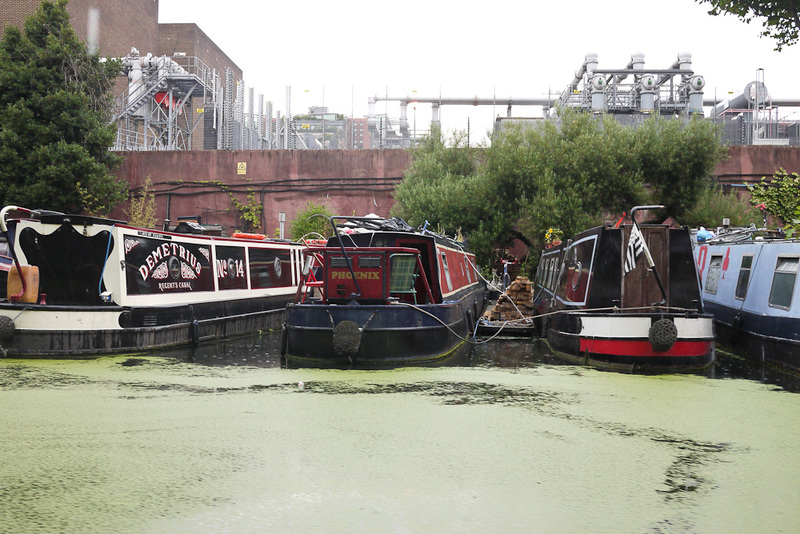 The Regent’s Canal in London provides a connection between the River Thames at Limehouse Basin and the Grand Union Canal. 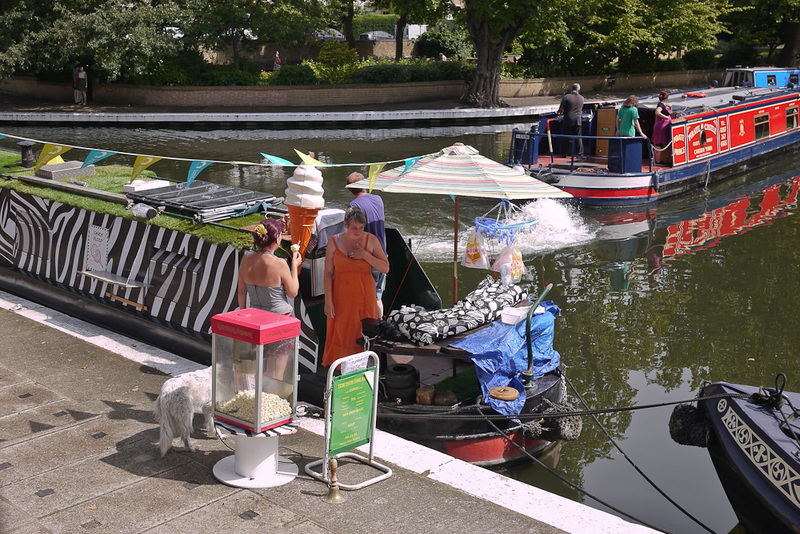 It was the last day for the market, and the zebra-striped boat above was preparing to head home to Stratford-upon-Avon, a two-weeks’ voyage (if I remember correctly).